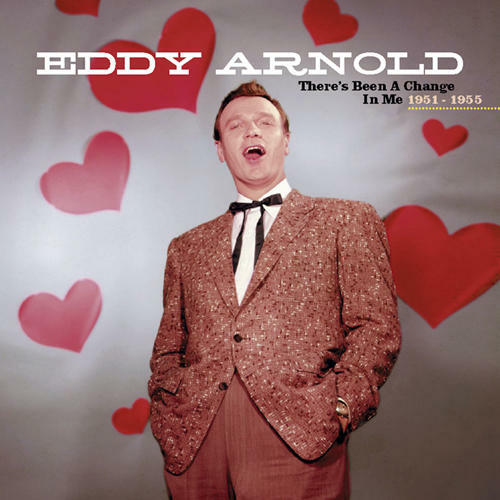 (7-CD set) LP size box set with 52 page book featuring all of Eddy Arnold's 1951-1955 recordings available for the first time ever in one collection! Includes major hits There's Been A Change In Me, I Wanna Play House With You, A Full-Time Job, You Don't Know Me and many others! Features Arnold's fabled April 28, 1955, session with arranger and conductor Hugo Winterhalter which produced four Top 10 country hits, including the chart-topping Cattle Call. Highlights the sterling instrumentals of Nashville Sound masters Chet Atkins, Hank 'Sugarfoot' Garland, Marvin Hughes, and Bob Moore, and New York session kings Al Chernet, George Barnes, and Marty Gold! 44 songs and performances are previously unissued.